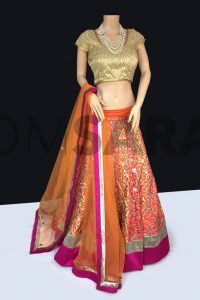 Blue Silk Net Lehenga Designer Choli is weaved together with embroidered motifs sequin work, stone, resham work on the lehenga and the choli. Comes with matching choli and dupatta. 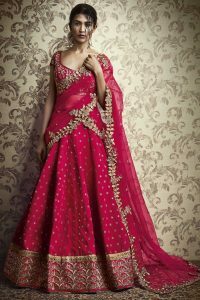 The Lehenga Choli will be semi-stitched material. This can be stitched using the tailoring options select “Custom stitching” option. To buy semi-stitched fabric, choose the unstitched option. for tailoring, If there are any design changes to be made you will be emailed by our stitching team once the product is ready with our tailor (stitching@omsara.co.uk) subject to design limitations (as per image).